There’s a gorgeous sweet compote berry smell on opening and it has a bright dark colour in the glass. It’s tight in the glass, slowly releasing complex berry fruit flavours with underscoring whiffs of tobacco. It was aged 11 months in 2nd and 3rd fill French oak barrels, and tannins are subtle. It’s Wine of Origin Stellenbosch and the grapes were sourced from mountain vineyards above 200 metres. !4% abv and bottled at the winery, closed with an agglomerate cork. 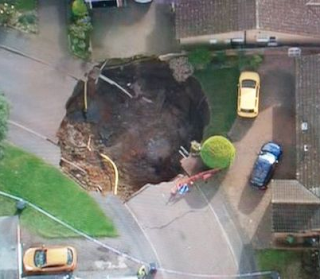 We drank it on the last day of the month to celebrate the opening today of our road fourteen months after a sinkhole closed it. Nice article by the Chicago Tribune's Michael Austin titled For your next bottle of wine, try a Pinotage. "When pinotage is good, it can offer a wild array of aromas and flavors, from raspberry, strawberry and cherry to plum, vanilla and coffee, with herbs, minerality, earth, spice, mushrooms, marshmallows and grill smoke also in the mix. 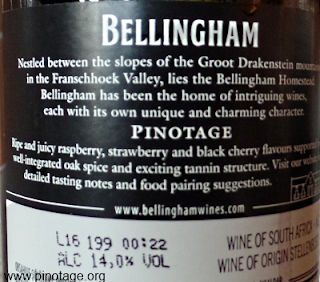 Some pinotage bottlings send forth aggressive tannins, while others verge on silky. And colors range from deep crimson to see-your-fingers-through-it pink-ish." He encourages readers to give the variety a chance, remarking that it has had detractors in the past, and that there are different styles and varying prices of Pinotage wine. Austin reviews nine different South African Pinotage varietals from Fairvalley, Ken Forrester, Backsberg, Lammershoek, Warwick Estate, Beaumont, Simonsig, Bosman Family Vineyards and Kanonkop Estate, priced from $11 to $42. Sunday: To La Cité du Vin in Bordeaux for a Pinotage masterclass presented by Beyers Truter, owner and cellar master of Beyerskloof and Chairman of The Pinotage Association. La Cité du Vin’s curving glass, silver and gold metallic structure is meant to symbolise wine swirling in a glass, the sinuous knots of vine stock and the eddies of the River Garonne, which it overlooks. 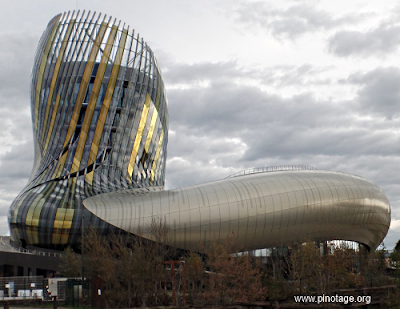 Opened on 1 June 2016, it’s a cultural centre celebrating all aspects of wine. South Africa is the first wine region to be celebrated with a weekend of events including tastings, music and foods. South African flags were on display throughout the complex. ‘Discover Pinotage, an iconic South African variety’, a bilingual conference and tasting session was hosted by Beyers Truter. He was supported by students from Elsenburg Agricultural Training Institute that he’d been leading through Europe's wine lands. Beyers was in a jovial mood as he introduced his passion to a mostly French audience and stretched the interpreter’s skill. 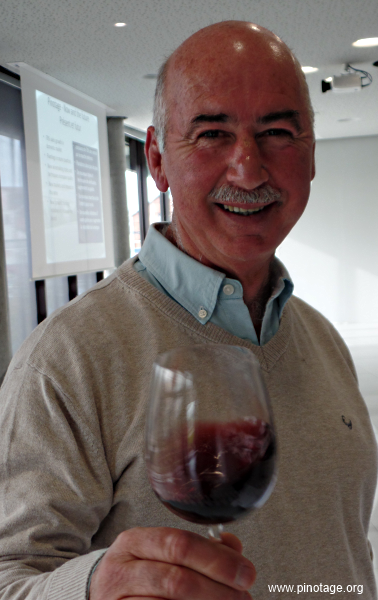 He covered the history of Cape wine and Pinotage and looked at growing making and marketing it. 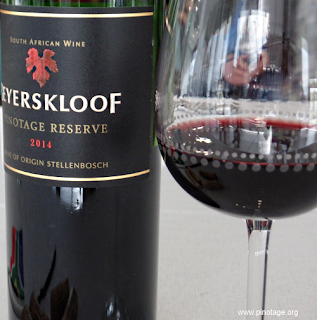 Beyers summed up saying that Pinotage had experienced a 70% growth in its home market, is being planted in more countries and that new marketing initiatives were in the pipeline to boost the Pinotage brand. 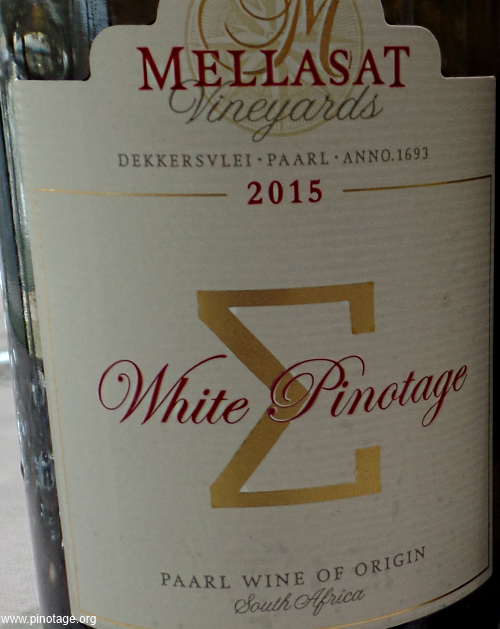 We finished with a tutored tastings of two wines; Mellasat White Pinotage 2015. This oak aged serious supple complex white so impressed Beyers he plans to visit Mellasat and buy a case on his return. We finished with Beyerskloof Pinotage Reserve 2014 that had been poured more than an hour previously and was in perfect condition, succulent, soft and ripe with intense berry flavours. The Elsenburg students had just heard they'd all passed their exams and had earned their degrees. I spoke with some to find their future plans. 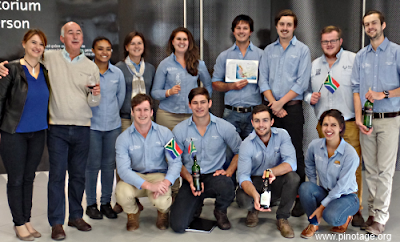 One had a position at Cederberg Winery, another at Creation Wines in the Hemel in Aarde Valley, another at his family's vineyard and others were planning on taking some time to work at wineries in the northern hemisphere. Best wishes to them all. Wednesday: To the City of London and the 600 year old Guildhall for the 2016 International Wine & Spirit Competition Awards. 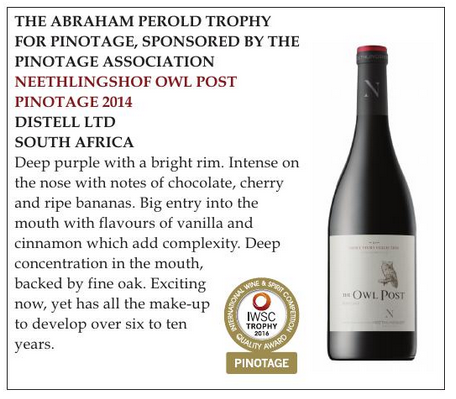 De Wet Viljoen won the Abraham Perold Pinotage Trophy for his Neethlingshof ‘Owl Post’ 2014, and Neethlingshof was also a finalist for the South African Wine Producer of the Year. A week before the event De Wet still hadn’t received his visa so I was very pleasantly surprised when he rushed into the crypt of the Great Hall shortly before the Trophy presentation. 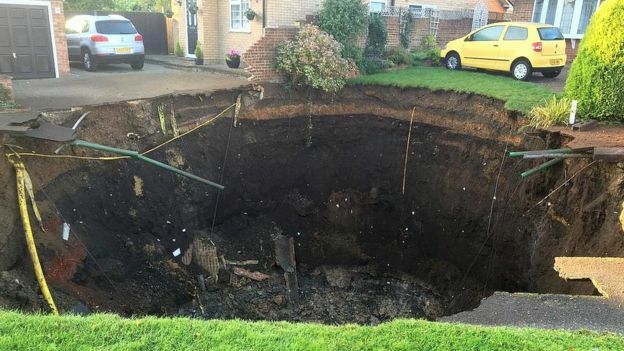 His dinner jacket was soaking wet thanks to a heavy shower and he didn’t have a rain coat. In fact he didn’t have any clothes as his bag had been lost by the airline and he’d had to rent the dripping tuxedo he wore. 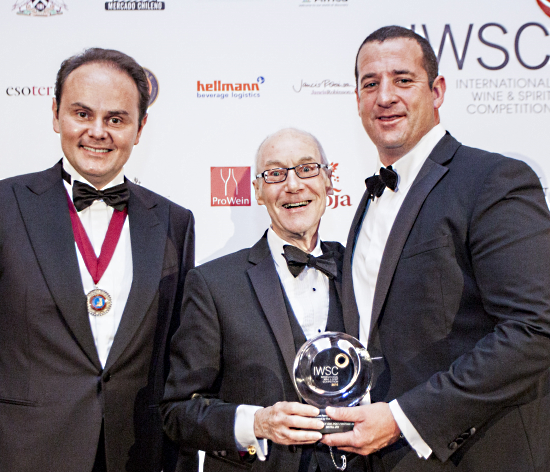 I represented the Pinotage Association, sponsors of the Trophy to present it De Wet in the presence of IWSC President Matteo Lunelli. After the Trophy presentation we went up to the great hall for dinner and more presentations. 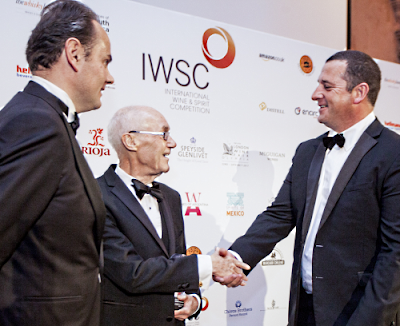 South African Wine Producer of the Year was awarded to Nederburg. Congratulations to De Wet Viljoen and his team at Neethlingshof, and also Nederburg and the many South African medal winners. 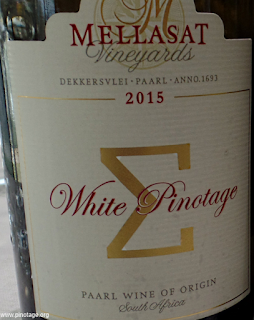 That only two made the grade is disappointing, especially when five Cinsauts gained 5 Stars, as more and better Pinotages are being produced at all price points than ever before. Congratulations to Abrie Beeslaar and Bruce Jack and his team.